When it comes to your kids and the iPad, it’s easy to overlook the value of interactive storybooks – not apps, but real iBooks that allow for kiddos to engage and learn. In over three years of writing reviews for this site, I’ve never once received a review request for an iBook. Until now. Matt Doyle is an indie author in Australia who contacted me last week to see if I was interested in reviewing his new space-themed iBook designed specifically for older school-aged kids. Of course I jumped at the opportunity for several reasons, including the fact that my 7-year-old is currently obSESSED with all things extraterrestrial. 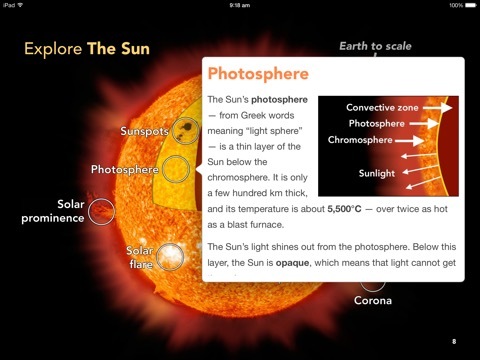 Space: A Brightpips Guide is different from the interactive storybooks I’ve played in app format. It’s a traditional iBook download, which makes it perfect for more advanced learners at a 2nd grade level and above. The pictures are amazing and real photography, not ‘baby-ish cartoons’ that my son had apparently expected. You can read more about the iBook on the Brightpips website. 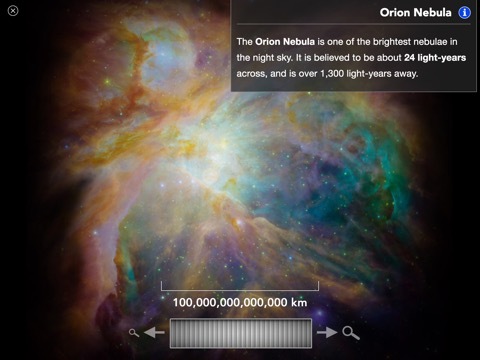 When we clicked on different planets and features, fun facts and even more visuals popped up. We learned about how long a day is on Mars, and what the core of the Earth does. The writing was decidedly intermediate, but my rising 1st-grader had no problem reading and comprehending. The download is $5.99 in iTunes, and a comparable ‘real’ book with the same quality could easily cost at least triple that in a book store. It’s also such a refreshing change of pace from the often-frenetic energy of educational storybook apps.